The new book which you bought a few days ago is missing few words and you are also surprised to see that there are holes in the pages. The wallpaper on your room is peeling off which is ruining the decor of your home. Are white ants sharing your room? You have heard about ants, but you have not yet heard of white ants. 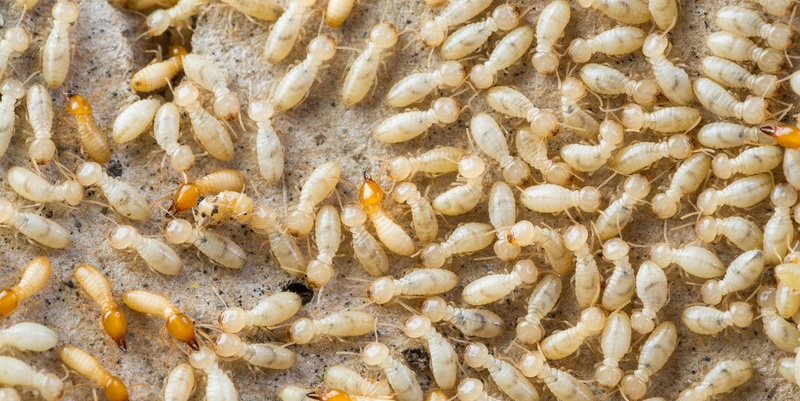 In Australia, termites are called as white ants. If you have a home or a business zone in Perth, then you need to be highly cautious against white ants. You cannot see these pests, but these critters can see your home. If these pests happen to find a small hole in the foundation of your house or moisture anywhere in your place, then white ants will start making their colony inside your household objects which are made up of wood. White ants also build their nests in moisture and damp zones. Do not get disturbed by the sight of a long mud tunnel if you happen to find those mud tubes on the window or in a gallery. The long mud tunnels are the homes of white ants. If you break the mud tunnel, then you will get to see a population of white ants. Any cellulose items in your territory are in danger because the white ants will feed on the cellulose items. The best riddance from white ants is to make use of our white ant treatment Perth solutions from our pest control company. With just a few applications, you will be able to make your home absolutely safe from white ants. The species of white ants vary. Likewise, the behavior of each specie of white ants will also vary from one another. Australia has formosan termites, subterranean termites, drywood termites, dampwood termites, desert termites and conehead termites. Ask our exterminators in what way white ant species are different from one another. While placing wooden items in your house, you should keep it a few distance above from the ground. Do not store cellulose items such as papers stack in one place for long. Keep papers and other paper-based items out of reach of white ants. Make sure there should be no standing water inside or outside your place. Keep your indoor and outdoor zones dry. Fix damp zones as early as possible. Give a call to our white ant control Perth servicemen to have an in-depth survey of your house. The survey of our pest officers will tell about the ongoing status of infestation. As per the level of infestation, our pest control guys will put the requisite white ant controls in place. Do not worry about your household property, as every item of your house will be safe after using our white ant pest controls. Our cost-effective termiticides and other pest controls which will be used against white ants are eco-friendly. After using the treatment plans, we can vouch you will never find white ants entering back in your surroundings.